Given the disparity between surging house prices and annual salary increases, it should come as no surprise that millennials are facing huge difficulties when trying to buy their first home. First-time buying has never presented such a tough task, which you’d think would deter the millennial generation from seeking home ownership. However, a recent report from HSBC has revealed that an overwhelming number of millennials still dream of owning a home. Almost three-quarters of those surveyed hoping to get a foothold on the property ladder within the next five years. 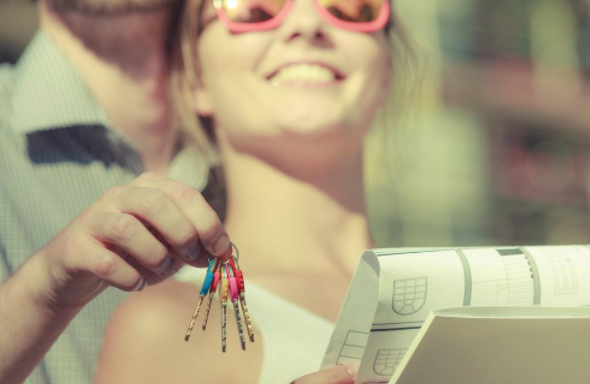 While thrifty saving and effective budgeting has helped many to fulfil their dream of owning bricks and mortar, a large proportion of millennial homeowners have inevitably dipped into the bank of Mum and Dad. Thirty-five percent of millennials relied on parental help with their purchase, and over a quarter moved back in with their parents to save for a deposit. The report also revealed that millennials are willing to make considerable sacrifices to own a home. Despite the popular image of millennials as brunch-obsessed spendaholics, almost half of those surveyed (47%) indicated that they would be willing to cut down on their leisure spending. Thirty-three percent would be prepared to settle for a smaller property, and sixteen percent would even consider delaying having children. Housing market woes don’t just affect the millennial generation. Four in ten of all non-owners intending to buy revealed that they hadn’t set a budget at all, while forty-eight percent only had a rough budget in place. Stagnant incomes and a buoyant housing market represent a major obstacle to buying a house, but there are steps which can be taken. Planning early, finding a competitive mortgage and budgeting beyond the purchase price can all help to make your dream of home ownership a reality. Could your house be earning you more money than your job? As Storm Doris hits the UK, is now a good time to think about home insurance?